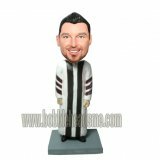 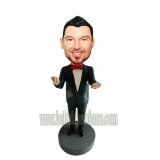 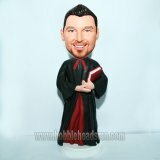 Wearing a casual dress with hands at sides, this customized casual bobblehead. 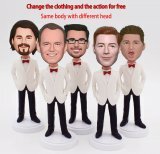 Forget bout the workday’s works and duress from trifles and step into your holiday with casual dress. 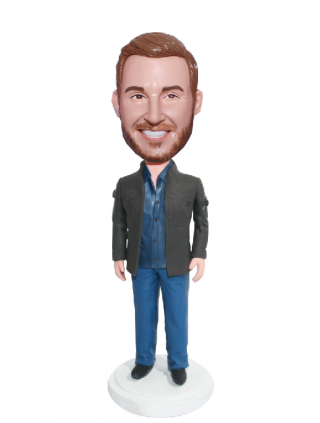 This personalized bobblehead is exactly conveying a sense of leisure and easy vacation.